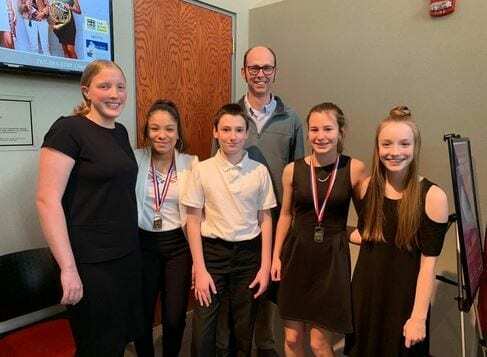 Gardner Edgerton students participated in the John Philip Sousa Honor Band over the Jan. 26 weekend. The Kansas John Philip Sousa Honor Band in the largest of its kind in the nation. From left to right: Chase Kellogg, Ryanne Ham, Nick Proctor, Will biggs, Jillian Velasquez, Riley Proctor. Ham and Velasquez were awarded a medal for making the ensemble three years in a row. There were less than 10 students that received the award.